I thought Hello Kitty had no mouth! 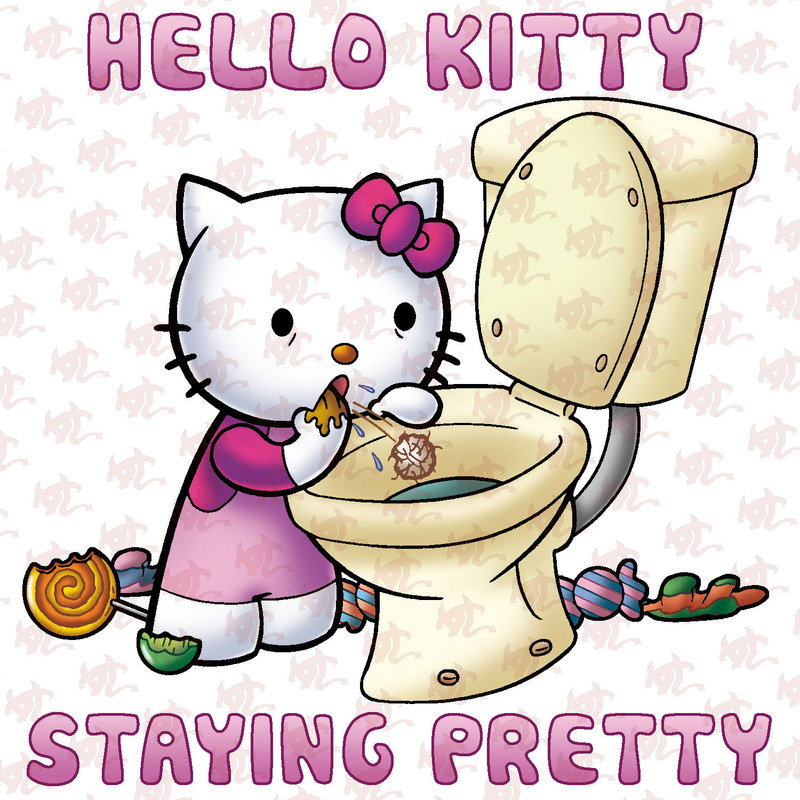 Coming Soon: Hello Kitty Venereal Disease. I have no words for this…. Is it just me, or does the “puke” look like a hairball? I find this picture to be offensive, as someone who has suffered from bulimia. I am an avid reader of this website. Well, that…yeah my childhood is ruined ._. this is so funny! haha made my day! Really? Why? I have a 5 year old major Hello Kitty fan and the last thing I need her to see is this crap. I and other parents out there don’t want our girls thinking that because a freaking cartoon character has an eating disorder that she needs to as well. Do you have no shame? I hope that you idiots have daughters that are ashamed to be called that. Someone needs to smack some sense into you. Seriously, your 5-year old shouldn’t even BE on this website. Secondly, get a grip and a reality check. It’s a parody site. Get off of it if you can’t deal. Hello Kitty Hell is not for the humorless OR the politically correct–OR five year olds. Not everything on the internet is for children–nor SHOULD it be–or their disgruntled parents. This site doesn’t cater to you or your child–sorry. Too bad if you think that everyone should be watching out for your kid–that’s your job. Which includes not allowing her to view this site if it’s disturbing to you. This is not a place for you or her. Someone needs to smack a sense of humor into YOU. P.S. If your 5-year old thinks she needs to have an eating disorder at that age–for any reason, you’ve got bigger problems than Hello Kitty, hon. I don’t have such a strong sense of humor that I can enjoy this. This is horrible.